A couple weeks ago I discovered the Sharp Crochet Hook and quickly got one in my hands (Thanks Jessica!). This hook has a sharp point on the end which allows you to easily poke through fabric without having to pre-poke holes (something I had been doing before with a skip-stitch blade). I have soooo many fun projects lined up that use of this hook. 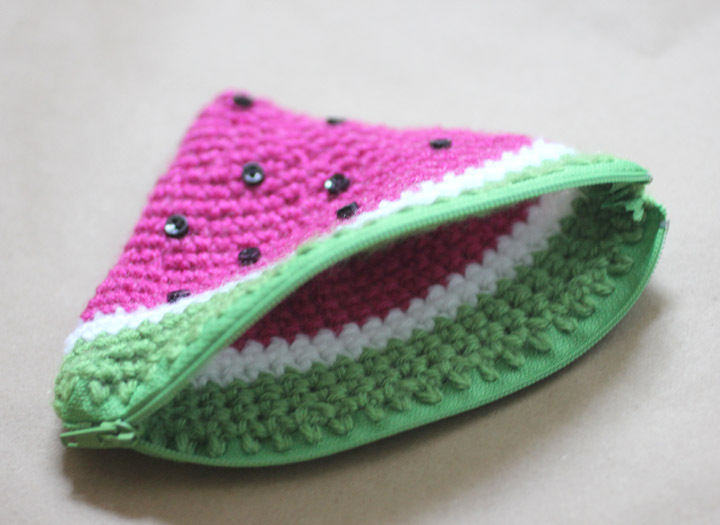 The watermelon coin purse was a spur of the moment idea that was so easy to do thanks to the Sharp Crochet Hook. You don’t have to worry about sewing the zipper or creating a lining. Just crochet directly onto the zipper! It’s that easy! And it is the perfect accessory for the summer! Note: the Sharp Crochet Hook will work best with size 10, 5, or 3 crochet thread. Since I used Vanna’s Choice medium worsted weight yarn, I had to pull the yarn tight in order to crochet with it around the zipper. This took some getting used to but once you get the hang of it, it goes quickly. 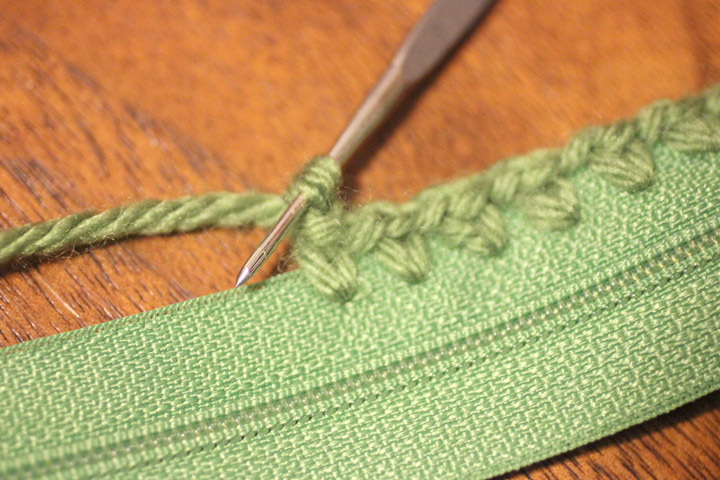 Round 1: Beginning at one end of the zipper, Crochet 45 SC stitches around the zipper with the Sharp Crochet Hook. You will want to chain 1 between each SC. Continue with the rest of the pattern with your G crochet hook. 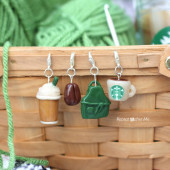 For the rest of the pattern do not join, use a stitch marker to keep track of your rounds. Round 11: 8 SC, SC Dec, 8 SC, SC Dec, 8 SC, SC Dec, 8 SC, SC Dec, 2 SC. Round 12: 8 SC, SC Dec, 8 SC, SC Dec, 8 SC, SC Dec, 8 SC. Round 13: 6 SC, SC Dec, 6 SC, SC Dec, 6 SC, SC Dec, 6 SC, SC Dec, 3 SC. Round 14: 6 SC, SC Dec, 6 SC, SC Dec, 6 SC, SC Dec, 7 SC. Round 15: 4 SC, SC Dec, 4 SC, SC Dec, 4 SC, SC Dec, 4 SC, SC Dec, 4 SC. Round 16: 4 SC, SC Dec, 4 SC, SC Dec, 4 SC, SC Dec, 4 SC, SC Dec. Round 17: 4 SC, SC Dec, 4 SC, SC Dec, 4 SC, SC Dec, SC. Round 18: 4 SC, SC Dec, 4 SC, SC Dec, 5 SC. Round 19: 4 SC, SC Dec, 4 SC, SC Dec, 3 SC. Round 20: 4 SC, SC Dec, 4 SC, SC Dec, SC. Round 21: SC, SC Dec, repeat around. Round 22: SC Dec till closed. Sew on small black buttons on the front and back and your done! You can purchase the Sharp Crochet Hook at www.sharpcrochethook.com. 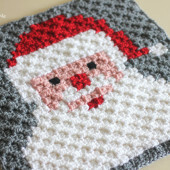 On their website you will also find lots of great tutorials and patterns for crocheting edging and borders. 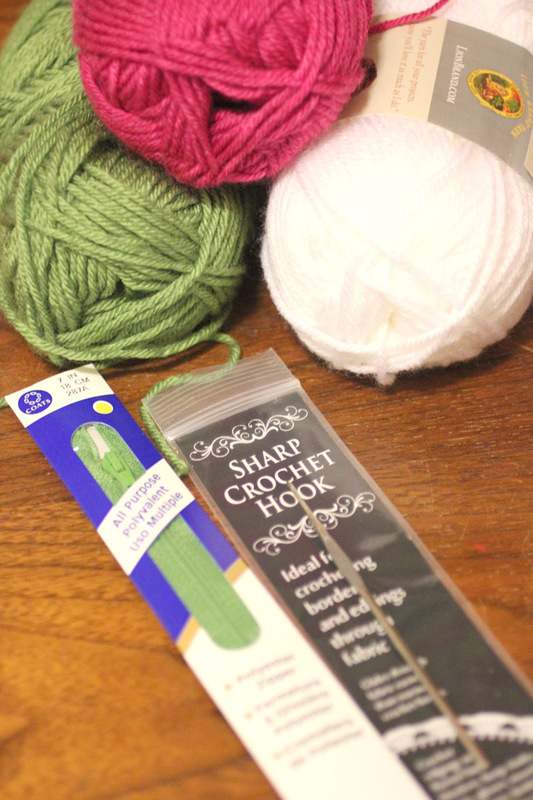 If you are a crocheter and don’t already have one of these hooks, it is something you must add to your supplies! OMG! This is adorable. I have not seen the sharp hook either, but now I have to get one so I can make this coin purse! Thanks for sharing!! I have one of those hooks, but have not used it yet. After seeing this, I will definitely give it a try now! this is so cute! I am going to have to try to make one!! Awesome! I have never seen where you crochet directly on the zipper. I can so do that! I love this! I think I'll use my Skip Stitch blade and make one of these. Thanks for the great idea! Awesome pattern! I'm not a sewer so I love the idea of crocheting directly on the zipper. Great website too! I love this pattern and as much as I crochet, I never knew there was a sharp hook! I learned something new. I'd love if you'd link this up to my fiber arts link party! And I NEED to get one of those sharp crochet hooks! What a great idea! Will certainly be trying this. And if I'm successful I will link back to this post on my blog. I don't have a sharp hook so I am going to poke holes in the zip and hope it works! Not only have you given us an incredibly cute pattern, but also a great new notion that "I can't live without". Thank you for both!!!!! 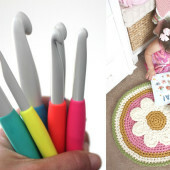 This is such a great idea for using the sharp crochet hook! I definitely have to try it. And what a cute purse too. I always love your projects! Very cute! And great idea to crochet directly onto the zipper…I just had to Pin it! Really like your purse, and the very tiny buttons. Thanks again for linking up at Hookin on Hump Day, Sarah! I featured your project as one of my favorites! This is so adorable! Just pinned – thanks so much for sharing at Mom On Timeout! I have to make this! So cute! Great project and thanks SO MUCH for introducing me to the sharp crochet hook, didn't know such a thing existed, but is sure solves a lot of mysteries, like pillowcase edging! Thanks so much for sharing on Craft Schooling Sunday! could you tell me what size zipper you used to make this cute purse? Thanks for the great idea. I already have a sharp crochet hook and do like it. Hadn't thought of using it this way before and was always intimidated by a zipper closure for crochet. I think I can handle it now. How would one do this with a knitted garment?? Just ordered 3 sharp crochet hooks, 2 for Christmas gifts, 1 for me now! 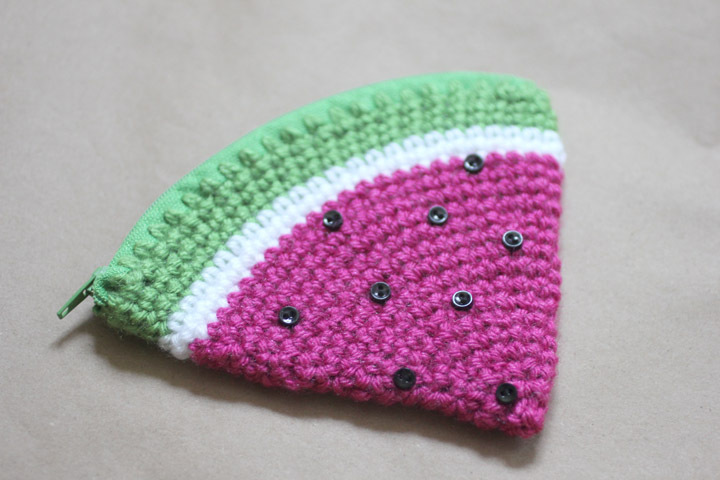 🙂 Thanks for the cute pattern – I'm a sucker for anything watermelon. This would be cute as a candy corn for a little Halloween gift, too. I love this idea and this pattern, but I don't crochet very often. You say "for the rest of the pattern, do not join." Does that mean that you work back and forth and then sew a seam at the end? I very much want to try the project–it will make a great present for my nieces with summer birthdays–but I need a little hand holding to get started. Thanks! I don’t know whether you received a reply to this, back in 2013, but I always like to see responses from designers to show that (a) they are listening and (b) want to help. Replying publicly helps others too. She means to work in a spiral, as far as I can tell. So you’re not working each round separately, with a chain at the beginning and a slipstitch at each end. You just put a marker in the first stitch of each round, and keep going in a spiral, moving the marker up each time you get to it. The fact that the pattern says “Round 1 etc” gives you a clue that it is worked in the round. Otherwise it would say Row. Thanks for the pattern! I love it and I want to try it even if I don't have a sharp crochet hook. I LOVE your patterns. You are awesome, girl! I am pretty good at following patterns, but a little slow when it comes to creating my own. You are an inspiration! Keep up the great work! Thanks for sharing. Gotta have that hook! I had my husband grind a point on one of my crochet hooks when I was making hanging towels, as it made crocheting into the towel so much easier..then I just switched to my regular hook..I like how you used the idea here and fully intend to make one of these darling little change purses..Thanks for sharing. Lover of crafts,especially crochet. 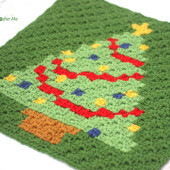 I am a new crocheter and have placed this pattern in my que! So adorable!! Thank you for sharing! Using this need with crochet yarn to add a zipper was pure torment! These things were meant for thread! A skip stitch blade on a rotary cutting tool would be a lot more effective. Unless its for thread Its a waste of money! Any suggestions on a good (or the best) skip stitch blade? Adorei sua idéia, você é bastante criativa,parabéns! I soo want one of these hooks! There's a lot of cute ideas on the website. You can embellish anything with a sweet feminine touch! If I was to make these and sell these via my Etsy. I would post a link to this and your link to the free patterns as well. I would post a disclaimer about it not being mine. Is there a certain price range I may offer or can I decide the price on my own? HI! I am so happy to have found this simple tutorial 🙂 Thank you! However I have already crocheted the pouch and need to add zipper.. still I will try your method.! The pattern for the crochet bracelet with heart button does not appear when I click on it. Please help!!! I just made one and you don't really need a sharp hook. I used a 1.4 MM hook and poked it through the zipper, then pulled yarn through. Very easy! How are you pulling the yarn through with no visible hook in sight? I am making this little purse, absolutely adorable….but I can’t get the stitch count to come out correctly starting on round 6, 7 et . Once you do the decreases, it doesn’t seem to figure correctly. Can you double check your pattern and advise. Howdy! While I’d really love to buy a sharp hook, my funds are super limited. Can you tell me about how far apart the stitches through the zipper are so I can approximate a blanket stitch? Cute project but when I started to use Sharp Crochet Hook It was really hard to use to get through the zipper. 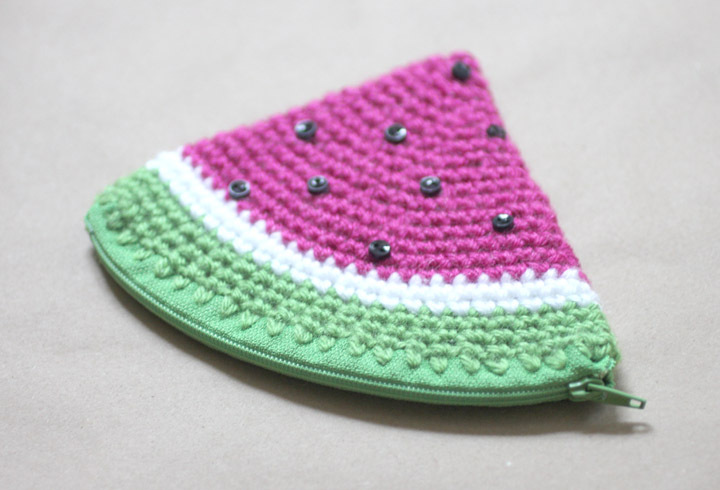 Hope you will get a video on this cute project (Crochet Watermelon Coin Purse). I don’t understand the numbering on your pattern. From the beginning you say to start with 45 stitches. Then in round 2 you say add 2 on either end, but you say the total stitch count is 48 instead of 49. In round 8 you say “19 SC, SC Dec, 20 Sc, SC Dec, 5 SC” followed by round 9 having 43 stitches. If you add the stitches in round 8, however, you get 46. And so it continues.